Recent endowed scholarships have been established by children to honor and memorialize their parents or grandparents; by friends to honor a person for his or her longtime commitment to a profession; by parents to honor or memorialize their children; or by an individual or couple who wish to leave a lasting legacy through the lives of tomorrow’s leaders. LaGrange’s undergraduate enrollment has grown by nearly 25 percent over the past six years. As the student population grows, the need for student financial aid strains existing resources. To help provide for tomorrow’s students, an endowed scholarship at LaGrange College can be established with a minimum gift of $25,000. 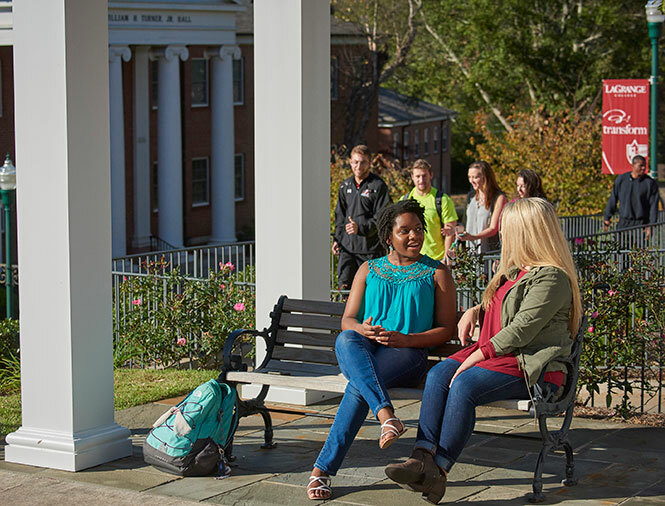 Increased scholarship support will enable more students to enjoy the challenging and inspiring LaGrange College experience and to leave the Hill prepared to help transform our world.